Restylane® is well-established hyaluronic acid (HA) dermal filler that has helped lead the change in the aesthetic treatment landscape for the past 20 years. Introduced in Canada in 1998, Restylane® is the world’s first non-animal HA dermal filler and has been used to restore, enhance and refresh the skin’s youthful-looking appearance for over 30 million treatments around the world. Restylane® is a non-surgical procedure that is injected into the face to fill in unwanted lines and wrinkles. With its primary ingredient being hyaluronic acid, it also adds lubrication and moisture to your skin. The result is younger looking skin as facial wrinkles and smile lines virtually disappear after just one treatment*. Our bodies originally contain high concentrations of hyaluronic acid (HA). So when we are young, our skin stays hydrated and voluminous. As we age, the effects of the sun and other factors combine to reduce the amount of HA in our skin. A Restylane® injection mimics natural HA and works by replenishing your skin, helping to restore volume and retain moisture in the skin. At Midtown Med Spa, we carry a range of Restylane® products that are specifically designed to restore, enhance, and refresh your face for a fuller, more youthful looking appearance. 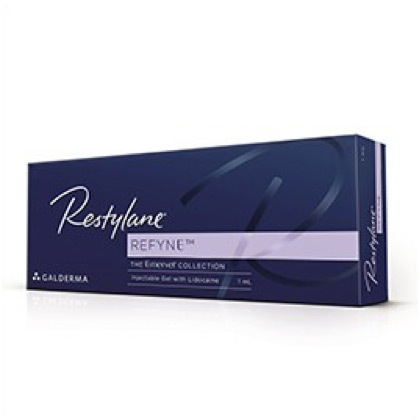 Restylane® Restore is a collection of dermal fillers that work to restore a youthful-looking appearance, designed to improve worry lines, tired eyes and lines around the eyes, your cheeks, mouth and smile lines. 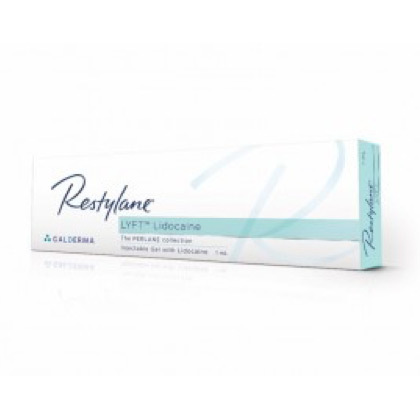 Restylane® Refyne helps to fill lines and wrinkles to provide a more refined result. Restylane® Volyme provides your face with natural volumization–specifically developed to restore volume loss due to the effects of aging. 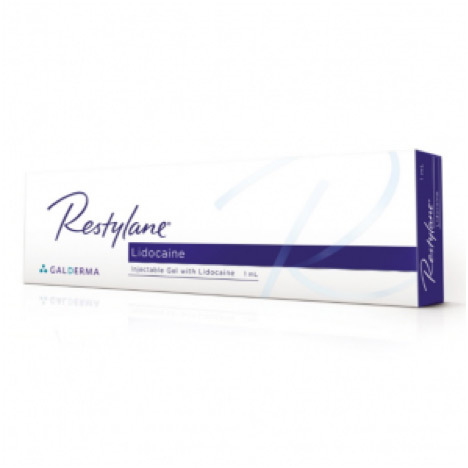 Restylane® Lidocaine is used to add volume and fullness to the skin and to correct fine lines and wrinkles between the eyebrows, on the forehead and the bilateral lines between the nose and mouth (nasolabial folds). 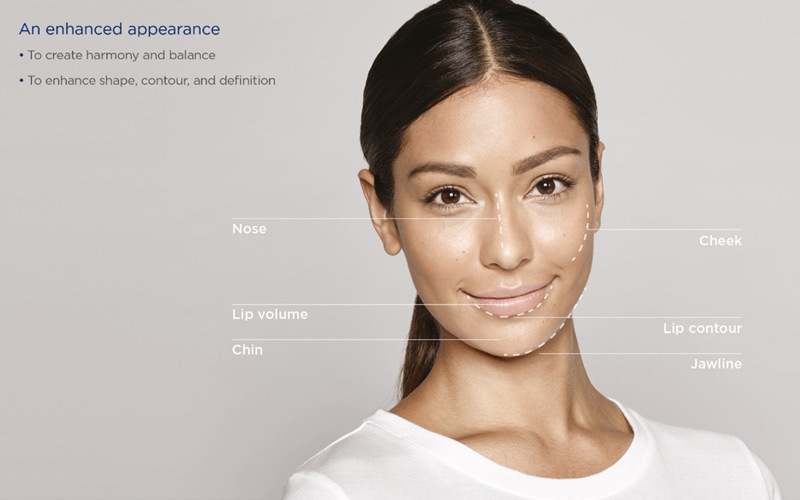 The Restylane® Enhance collection of dermal fillers is designed to help enhance your facial balance and harmony. Its key benefits are the ability to provide added volume to your cheeks and lips while giving your lips and jawline more definition. 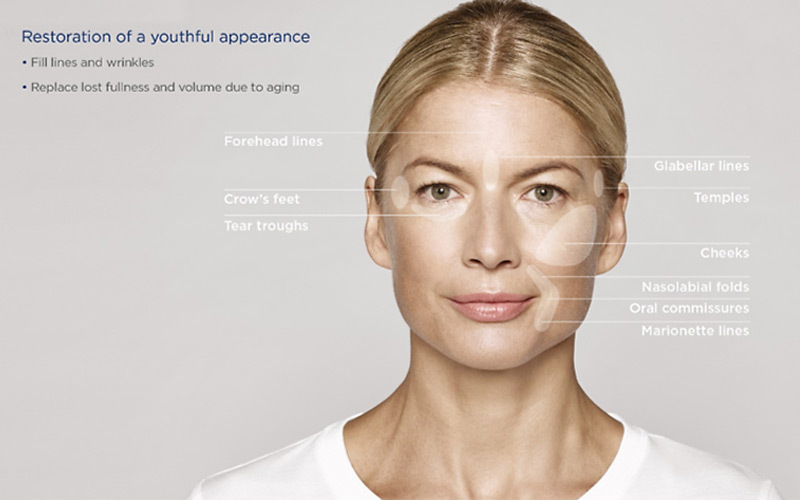 Restylane® Defyne helps to shape and define your facial contours through it high-lifting capabilities. 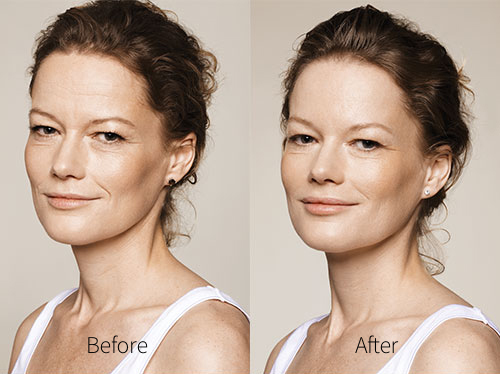 Restylane® Lyft works to contour your face while correcting folds and enhancing your lips. 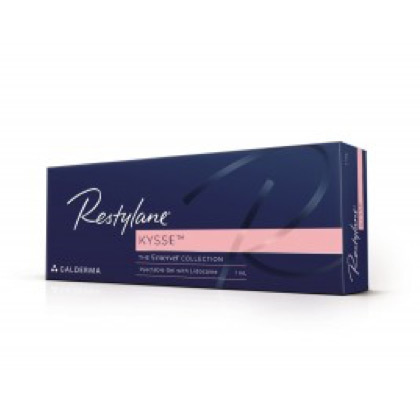 Restylane® Kysse targets your lips by adding volume and contour, resulting in a more balanced and natural look. The Restylane® Refresh collection is offered as Restylane® Skinboosters. This collection helps to create a radiant-looking glow in your skin by improving your skin’s smoothness, elasticity and appearance. 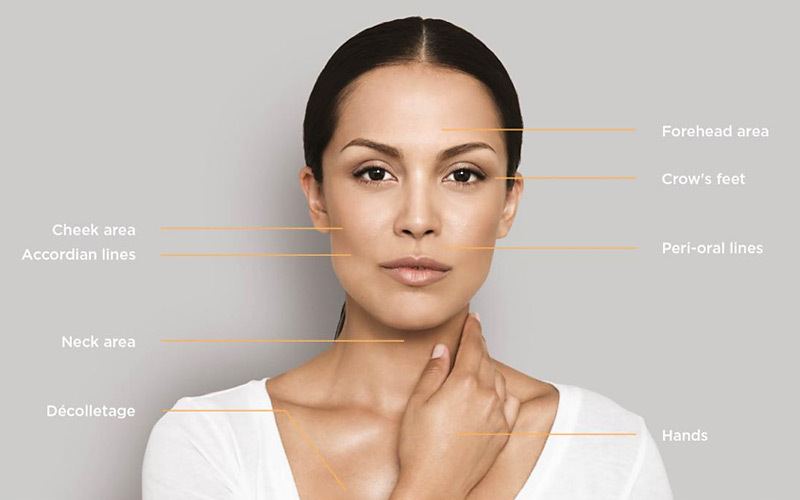 Not only for your cheeks or jawline, Restylane® Skinboosters are also for your upper neck area and the back of your hands. 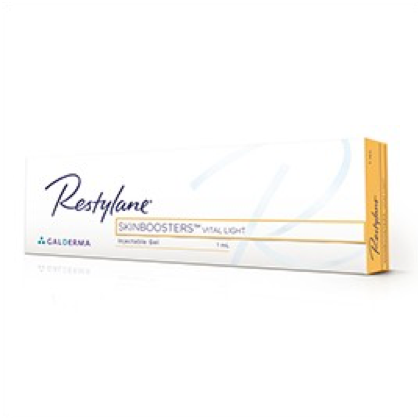 Restylane® Skinbooster Vital and Vital Light use a unique form of HA to noticeability improve skin smoothness and elasticity. It’s recommended for your lower cheek/jawline, upper neck and hands and lasts for six months. Q: Do Restylane® treatments hurt? A: Because Restylane® is an injection, some people may experience a mild discomfort from the pricking of the needle. 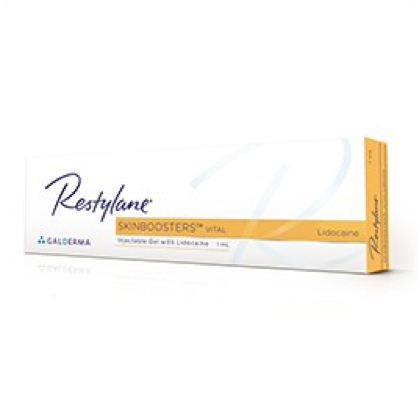 But many Restylane® products contain lidocaine, a local anesthetic that helps numb the injection area as Restylane® is administered. Q: How long does one Restylane® treatment take? A: Not including our original consultation, Restylane® treatments take as short as 15 minutes to complete. Q: How quickly will I see results from a Restylane® treatment? A: Immediately following your treatment, you will see improvements in the wrinkles and lines of your face. Q: How long does one Restylane® treatment last? A: For most patients, Restylane® treatments generally last up to nine months. Many Midtown Med Spa clients do follow-up Restylane® treatments in order to retain the effects.